Liposuction is generally defined as the removal of fat deposits beneath the skin using a hollow stainless steel tube (called a cannula) with the assistance of a powerful vacuum. It is a fantastic solution for anyone looking to quickly remove fat. At Centers for Health Promotion, Inc., we not only believe in liposuction as an amazing way to quickly recapture your lost curves, but we believe in how we do it: the tumescent technique with the most technologically-advanced systems on the planet. Our patients are never put to sleep. UHD Liposuction/Body Sculpting is the latest and most exciting new offering at CHP. Using Vaser 1.0 or 2.0 and special techniques, we can not only flatten, but greatly enhance the definition and presence of muscles that may be hiding under a little fat. Popular among celebrities and elite athletes, UHD liposuction is now not only available to all of our potential patients, but is also more affordable than ever before. UHD is worth the trip to Florida alone, as many of our out-of-state patients have discovered. LipoSelection® only by VASER® / Sound Surgical Technologies is latest-generation liposuction equipment that combines new patented technology with advanced surgical techniques to break up and melt fatty tissue. Unwanted fat can be efficiently removed from abs, arms, back, hips, knees, love handles, neck, chin, saddlebags and thighs.The VASER system is a state-of-the-art liposuction machine that features an ultrasound probe that melts fat, leaving surrounding tissue (such as nerves, blood vessels and connective tissue) relatively intact. The liquefied fat is then removed through our gentle suctioning process, through which damage to surrounding tissue is further reduced. Fat can also be harvested for transfer into other, more desirable areas of your body. A hot trend in liposuction and body sculpting, fat transfer procedures use your own fat (removed from one area of your body) to volumize or contour another part of the body. VASER Lipo-treated fat is typically higher-quality, and easier to transfer for these types of procedures. The amazing VASER liposuction system can also be used to harvest stem-cells from your fat cells, making it one of the most unique and significant pieces of medical equipment of any kind. CHP in Florida remains on the cutting edge by offering VASER 2.0 to our patients and future patients. Lipotherme is a revolutionary laser liposuction technology that utilizes a unique technology platform that quickly liquefies fat in cells, tightens skin and spares healthy surrounding tissue in less time than any other laser on the market. It allows dual absorption in water and hemoglobin; causing blood vessels to coagulate immediately, resulting in less bleeding, swelling and bruising. The simplicity and speed of the Lipotherme laser allows physicians to quickly master their laser-assisted lipolysis technique and optimize procedure time while creating exceptional patient results virtually pain-free with little to no side effects or downtime. 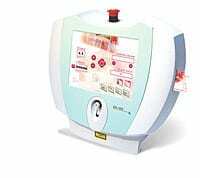 The Lipotherme laser is the cutting-edge in laser technology, designed to be compact and portable, it requires no special maintenance, and offers unparalleled ease of use, precision and control. The power-assisted liposuction (PAL) technique traditionally features a cannula that vibrates at 4000 vibrations/minute to easily break up the fat for suctioning. This technique has been replaced by the brand- new PowerX™ System bySound Surgical Technologies. 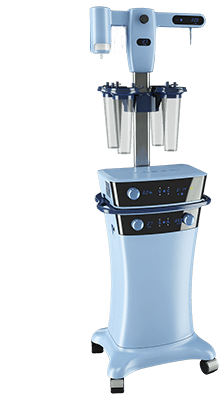 Instead of vibrating, the PowerX liposuction system utilizes a superior rotational movement that allows for faster and safer treatment of fatty areas while reducing trauma to surrounding tissues. The physician has control over the rotation angle (how far the cannula rotates), and the rotation speed (how fast the cannula rotates). In deeper tissue, a higher rotation angle and speed allow for efficient de-bulking of larger areas. For precision sculpting, a lower rotation angle and speed can be chosen to treat more superficial layers. We love this tool at CHP in Florida and the exceptional products Sound Surgical continues to make. Hands – Thinning, wrinkled hands can be restored to a healthy, youthful looking state. Lips – Lips can be made richer and fuller with your own fat rather than an injectible chemical. Face – Gabellar lines, perioral lines, nasolabial folds and more can be addressed. Buttocks – Voluptuous Size/Shape enhancements. Tumescent liposuction refers to a technique that uses large volumes of very dilute local anesthesia that is injected into the fat causing the targeted areas to become tumescent, or swollen and firm. Local anesthesia is widely regarded as the safest form of anesthesia. Post Op, patients typically will take Extra Strength Tylenol for pain. The tumescent technique for liposuction is unquestionably the safest form of liposuction. When tumescent liposuction is done correctly (not excessively), it is a very safe procedure. For example, there have been no reported deaths associated with tumescent liposuction totally by local infiltration anesthesia. The dilute epinephrine contained in the tumescent anesthetic solution profoundly shrinks capillaries and thus virtually eliminates surgical blood loss. Compressive liposuction garments are worn for a period of time to augment the reattachment of skin to the underlying surface and to aid in the molding of the contour of the body. All liposuction patients order one prior to surgery from one of our recommended garment resellers. Liposuction patients can develop seromas (a collection of lymphatic fluid) which must be drained. Patients can also develop skin irregularities, hematomas can also occur, or numbness of the skin. Liposuction should be done without general anesthesia. Most life-threatening liposuction complications have been associated with the use of general anesthesia (being put to sleep), including excessive blood loss, perforation of organs due to penetration the abdominal cavity causing damage to abdominal organs, including intestines, liver, stomach, etc. The important thing to remember that 97% of these kinds of liposuction complications are associated with General anesthesia, which is not administered at Centers for Health Promotion in Southeast Florida, where Dr. Reynolds has performed more than 70,000 procedures without any significant complication. Liposuction surgery is not the treatment of choice for obesity. It is not an alternative to proper nutrition and exercise. Liposuction surgery is performed in our highly equipped in-office operating rooms. When using the Tumescent Technique general anesthesia is not necessary. With this technique multiple areas can be suctioned. The cosmetic success for liposuction relies on removing inches rather than pounds. In general, there is no significant weight change, yet dramatic change in silhouette is possible. Most important is the patient’s satisfaction and increased self esteem. Home rest is necessary for the first twenty-four hours and then a light work schedule may be resumed. If sculpting is more extensive and performed in several areas, 2-3 days of recuperation may be necessary. Special elastic garments must be worn for 4 to 5 weeks after surgery. The rate of healing is accelerated as a result of the drainage of blood tinged anesthetic solution. Drainage minimizes bruising, reduces inflammation, and significantly accelerates healing. Stretch marks, dimples, and ripples remain unchanged following surgery. The changes following liposuction are analogous to those one would expect if it were possible to lose an equal amount of fat in localized areas by dieting alone. Smaller cannulas allow the fibrous connections between skin and body to remain. They contract or shorten during healing. For this reason, excessive skin folds are rare and in fact, many patients who would have previously required surgical excision of skin (tuck) can have excellent results with liposuction alone. Skin irregularities, lumpiness, hardness and dimpling may appear post-operatively. Most of these problems disappear with time, but localized skin firmness, lumpiness and or irregularities may be permanent. In dark skinned patients, hyper-pigmented scars (dark to black scars) can occur and may be permanent. Other objectionable scarring such as keloids are possible. If loose skin is present in the treated area(s), it may or may not shrink to conform to the new contour. By the use of a hollow tube (cannula) which has suctioning holes near its blunt end the cannula is inserted through a small 1/4″ incision beneath the skin and into the fatty tissue overlying the muscles below. The cannula breaks up the fatty tissue, creating a honeycombing of the fat. A vacuum pump connected to the other end of the cannula then evacuates the loosened fat cells through a series of openings at the end of the cannula. The smaller the cannula, the smaller the tunnels and the more even the reduction. The cannulas used by Dr. Reynolds are generally 2.0 to 3.0 mm in outside diameter. In Contrast, other surgeons often use cannulas 5.0 mm OR larger in size. After surgery, these tiny tunnels collapse resulting in an improved body contour. Surgical complications of liposuction are quite rare. As with any surgical procedure, liposuction is associated with common side effects such as bruising, swelling, and numbness, skin irregularities can also occur but reduced significantly by using smaller cannulas. Drug reactions an occur but can be rapidly reversed. Although cardiac arrest and pulmonary complications can occur, these problems if ever encountered will be managed Dr. Reynolds, as he has been Board Certified in Emergency Medicine since 1985. Other complications such as hematomas (collection of blood under the skin) can occur. Rare but significant complications can occur with any surgery and include serious infection, narcotizing fasciitis, pulmonary embolism (secondary to blood or fat embolism), fluid imbalance, excessive blood loss, anesthesia complications, perforated viscus, and death. This information is not intended to frighten you, but rather to enable you to make your decision whether or not to liposuction surgery is for you. Following surgery, you should immediately report any signs of infection, bleeding around the incisions, or anything else that causes you concern. It is the belief of the medical community that after puberty no further fat cells are produced. Therefore, the removal of fat cells after puberty via liposuction surgery is considered a permanent way to remove fat. At Centers for Health Promotion, LLC., we GUARANTEE that if the fat cells return to the suctioned area(s) within 5 years, we will re-suction you at supply cost only. One of the most significant factors in determining which technique a surgeon will use is time. From a surgeon’s point of view, the surgery will take less time when a general anesthetic is used. Plastic and cosmetic surgeons commonly use general anesthesia. Dr. Reynolds uses local anesthetic to perform liposuction surgery using the tumescent technique. The Tumescent technique is the best and safest way to undergo liposuction surgery. At your initial free consultation, Dr. Reynolds will answer all questions and address any concerns you may have.